Prof. Dr. Mohd Hasbullah Idris joined the Faculty of Mechanical Engineering in May 1991, obtained his Masters of Philosophy (MPhil) in Manufacturing Engineering in Nov. 1995 and subsequently his PhD in Mechanical Engineering in 2002. He worked in local and international manufacturing industries for 5 years before joining UTM in 1991. His areas of expertise are Manufacturing Processes and Technology, Foundry Engineering, Magnesium Casting and ISO9001 – Quality Management System. Prof. Hasbullah now is the Chair of the School of Mechanical Engineering, Faculty of Engineering. Prior to the current appointment, he was appointed as the Department Head of Materials Engineering, Deputy Director of the University Quality Unit, Deputy Dean for Academic and Student Development and the Dean of the Faculty of Mechanical Engineering. Prof. Hasbullah has vast experience pertaining to academic quality in particular programme accreditation by the accreditation body such as Malaysian Qualification Agency (MQA) and Engineering Accreditation Council (EAC) of the Board of Engineer Malaysia. He was the academic consultant for the Jabatan Pendidikan Politeknik Malaysia (JPP) and Kolej Yayasan Pelajaran Johor (KYPJ) and had involved in consulting work and conducting training for more than 100 quality and programme accreditation courses. 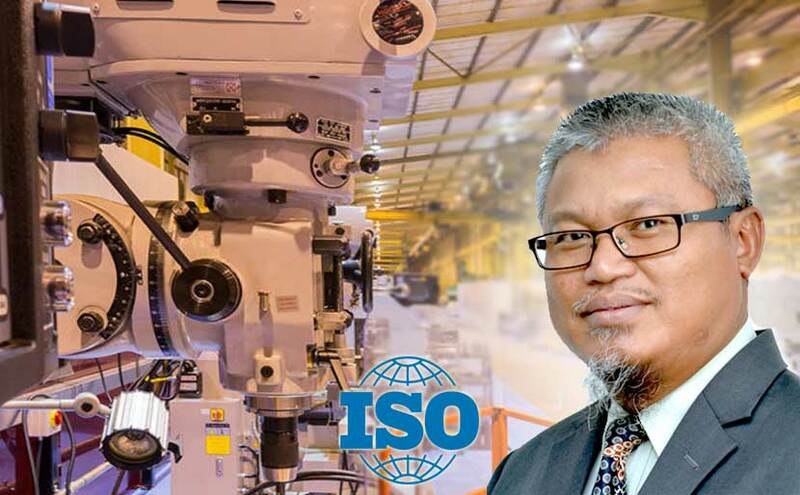 Prof. Hasbullah was also the consultant and course facilitator of ISO9001 Quality Management System (QMS) for Tabung Haji, Faculties and Departments in UTM and many manufacturing industries especially in Pasir Gudang and Tebrau Industrial Area. For the past 22 years of his involvement in ISO9001 he had been involved in approximately 150 consulting work and providing courses on ISO9001 system development and auditing. He was also a technical advisor to four manufacturing companies. As an academic staff he was involved in 35 consulting and research projects and had published 143 papers in journals and conference proceedings. He had supervised 50 MSc and PhD students. He is currently the graduate member of the Board of Engineers, Malaysia, International Member of the American Foundry Society, member of the Malaysian Science, Engineering and Technology Society, and life member of the Electron Microscopy Society of Malaysia.